Seminar: Perspectives on oil production – is fracking our future? News and comments about an ongoing shale revolution is spreading around the world. Technological advancement and higher prices have made oil and gas production from shale and other tight formations commercial in the United Sates and a dramatic increase in production volumes from these sources has been seen during the last couple of years. But how revolutionary is this development really? 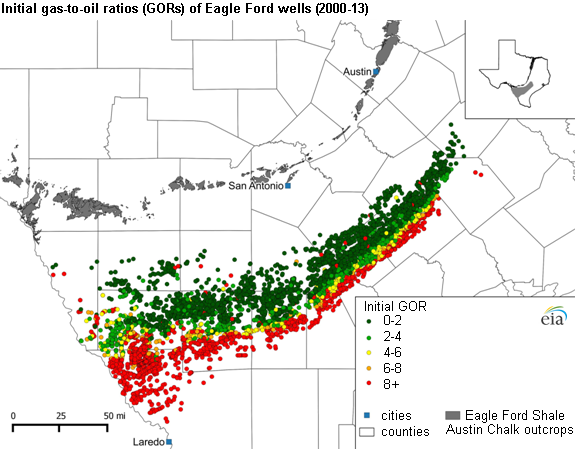 What are the prospects and implications of shale production in the longer term? Are there any differences in the case of oil and natural gas, and between the US experience and expectations for the rest of the world? Global Energy Systems at the Department of Earth Sciences are glad to invite everyone interested in these questions to a seminar on Wednesday the 5 of March at 15.15 at Hambergsalen, Geocentrum. Professor Kjell Aleklett will present findings and experiences from his time as guest professor at the Department of Petroleum and Geosystems Engineering at the University of Texas at Austin. Furthermore, associate professor Mikael Höök will give a lecture on technology and environmental implications of hydraulic fracturing as well as a survey of shale resources from a geological perspective including prospects for Sweden. Kommer det gå att följa detta via nätet? Publiceras bilder/ant efteråt? Tyvärr går det inte att göra det.